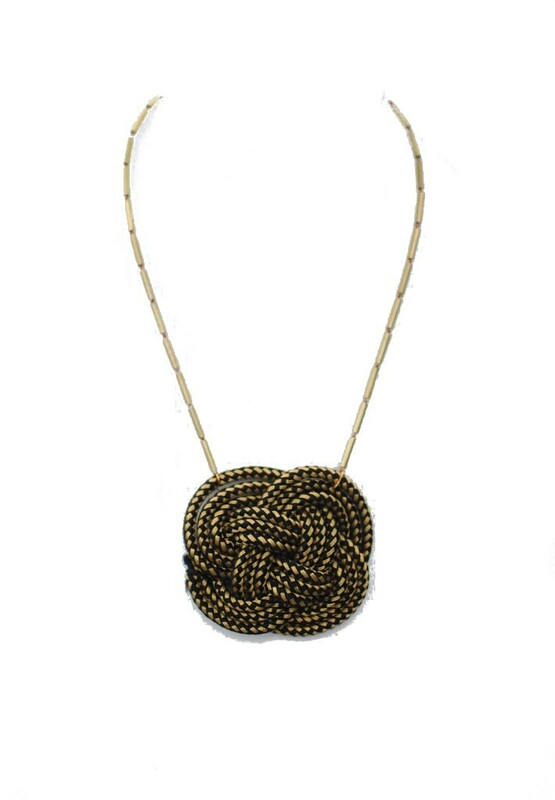 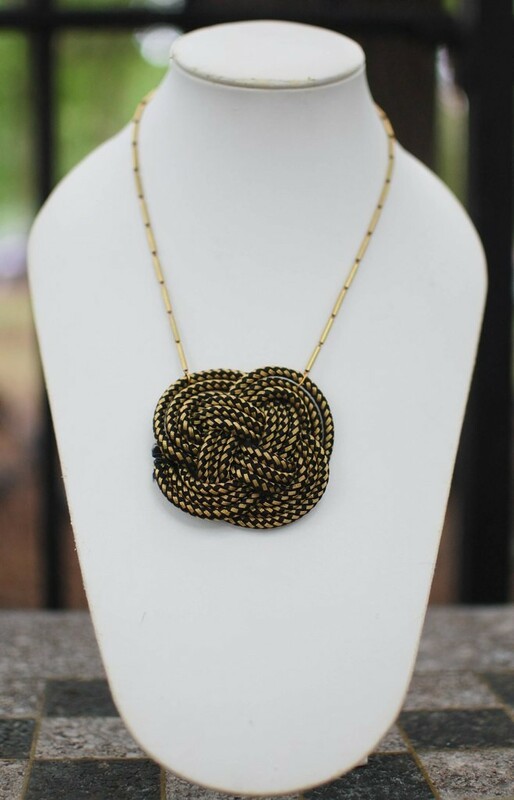 This black and gold knotted necklace is an attention grabber. Delicate enough to wear with anything, but cool enough to make a statement. 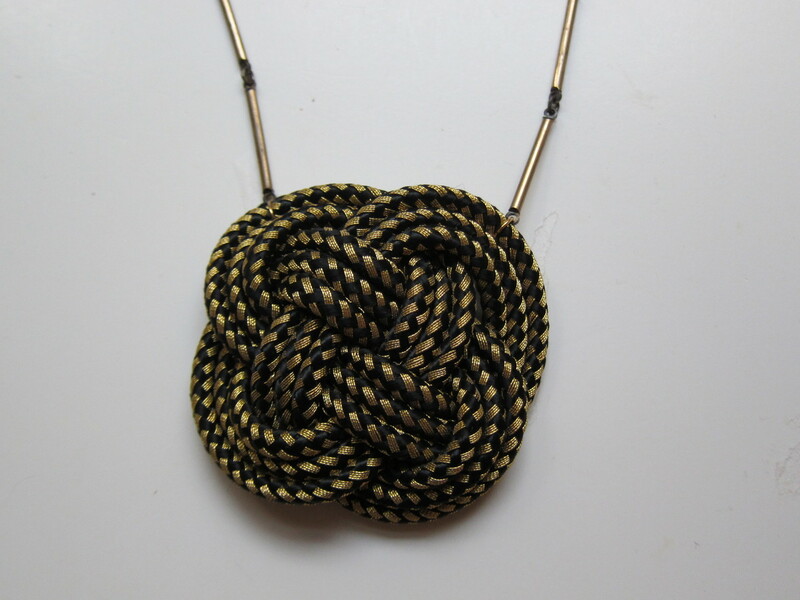 The knot measures 3"inches x 2 1/2" inches. 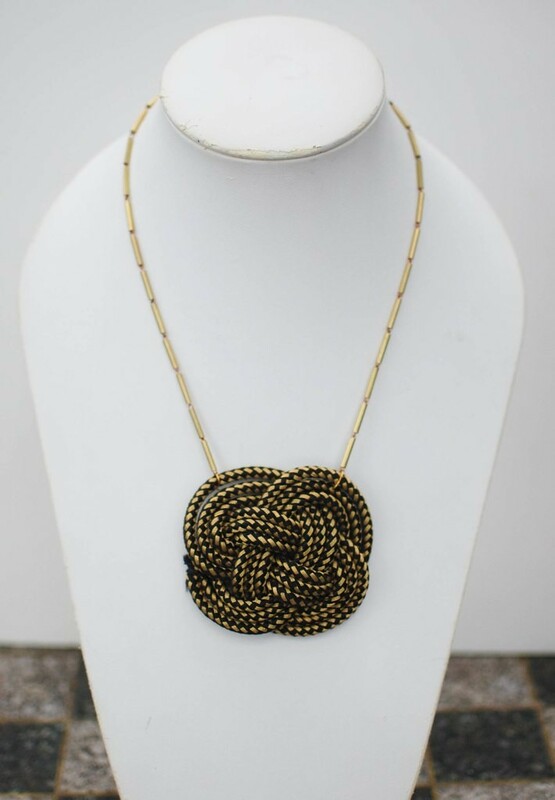 The chain is vintage brass and has a lobster closure and measures 17"inches.